Patagonia set out to design a shirt that works as a lightweight jacket when needed, so they turned to the steadfast comfort and warmth of moleskin. 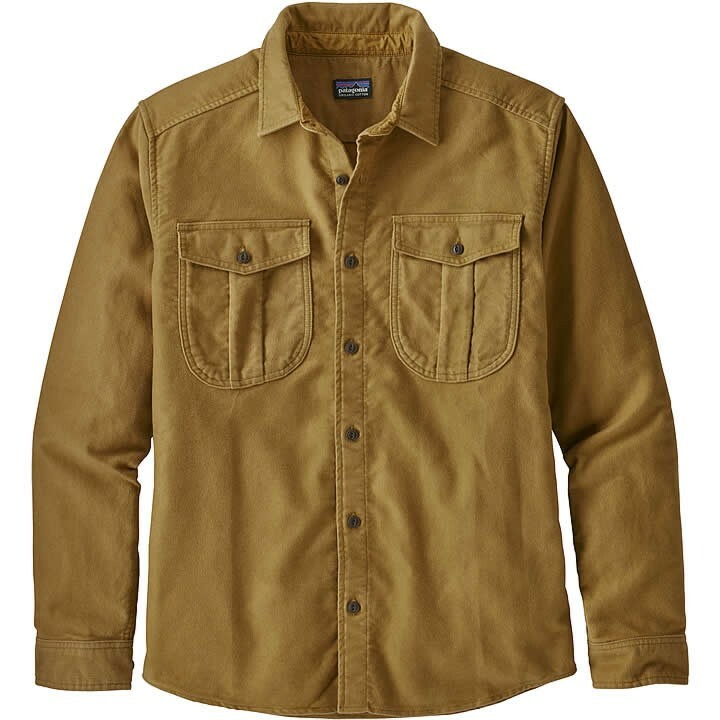 Patagonia's Long-Sleeved Topo Canyon Moleskin Shirt, made from soft yet durable 100% organic cotton moleskin, has a more relaxed fit to accommodate layering and a slightly burlier hand to endure the hard-knocks of hard work. The shirttail hem increases coverage for harness and hipbelt compatibility and two expandable chest pockets have button-flap closures to securely hold your must have's. The stand-up collar protects your neck from sun and wind. It's also Fair Trade Certified™ sewn, which means the people who made it earned a premium for their labor.